Music is the doorway. Living and dying and living again. Getting lost in sea of melodies. Losing ourselves and finding ourselves. Blocking out the noise from this loud loud world. Escaping the stresses of daily mundanity. Skyrocketing into different worlds and different lives and different modes. Connecting directly into the hearts of the people we love. Unlocking the surround system of the soul. A high-fidelity life for a lo-fi world. Music is a gateway to connection, to love, to harmony. 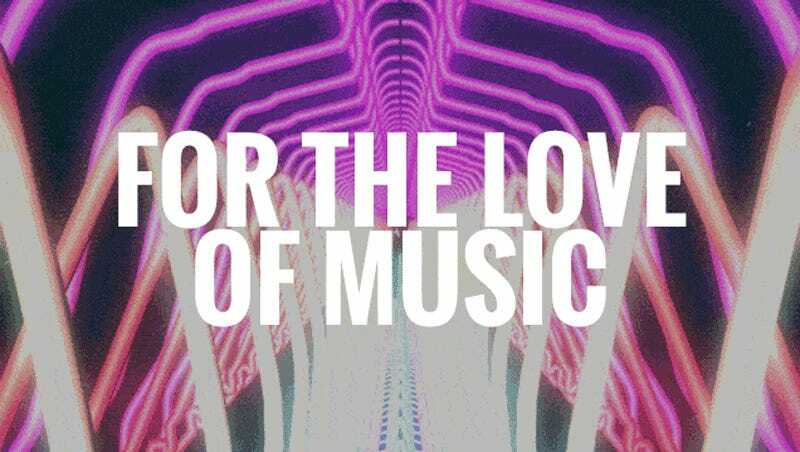 Music fuels our emotions. Music becomes us, like an old song from a commercial that pops into our heads, a second of unexplainable joy pulling us back into the moment. Original GIF by Gustavo Torres.